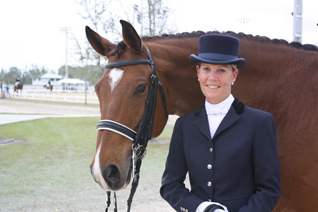 We purchased our first Florida home with Ann’s help in 2005 and have been working with her ever since. We LOVE our new Lennar home in Arden! Thank you Ann for all your help! “We just want to thank you so much for all of your time and patience in selling our house in Buena Vida. You were so helpful, knowledgeable about the market, and innovative in the selling process. Your quick responses to our phone calls and getting everything in order efficiently was greatly appreciated. In addition we were so grateful that you were able to put us in contact with any necessary professionals. It was a pleasure meeting you and working with you as our real estate agent. As CPAs, we will be glad to recommend you to any of our clients and friends. Search for homes in Binks Estates or Binks Preserve. The Preserve at Binks Forest and Binks Estates are excellent choices when thinking about moving into the Wellington, Florida area. The Preserve at binks Forest is a lovely gated neighborhood in the very attractive Binks Forest segment of Wellington, Florida. The homes here at The Preserve at Binks Forest were built in the late 1990′s and come in choices for three through six room floor options. These gorgeous Preserve at Binks Forest single family homes come in both single-story and two-story models and range in size from 2,200 sq. ft. to more than 4,000 sq. ft. of cooled space. The single family homes here have either 2 or 3 car garages. 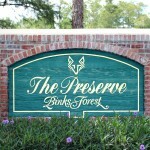 Most of the homes at the Preserve of Binks Forest have extensive views of the fairway or of private and quiet scenes. Children in the Preserve at Binks Forest are inside walking distance of Binks Forest Elementary and Wellington Landings Middle school. The Preserve at Binks Forest is situated on the West side of Binks Forest Dr., North of Greenview Shores Blvd. We hope you come and look at this extraordinary neighborhood that perhaps sometime you may call home. 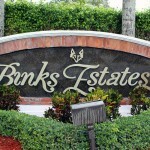 Binks Estates is in the subdivision of Binks Forest. The coveted Binks Estates was constructed in the late 1990s by Toll Brothers, a developer known for building exceptional homes and neighborhoods. The homes at Binks Estates are available in 4, 5 and 6 bedroom floorplans running in size from 2500 square feet to more than 5000 square feet of cooled living space. All homes inside Binks Estates accompany 3 car garages and most homes sit on nearly a half an acre. You won’t get over crowding here in this community. A significant number of the homes here at Binks Estates have peaceful lake or golf views. Children can enjoy walking to nearby top rated schools in the area.